With 272 points to Kanbis and Swamibapa’s 236 and only 40 left on the table, Stray Lions effectively needs to bag just five more this weekend to ensure that they are the Nairobi Provincial Cricket Association (NPCA) Premier League champions for the second time in a row, even if the their closest challengers win. From the two remaining matches, Stray Lions can still secure the league with a match and an inning to spare. Playing away to Nairobi Gymkhana, Hiren Varaiya led side could win the league in the first inning if they happened to bowl first and bowl their opponents out or even bat first and score over 275 runs and things go their way at Eastleigh High School and Nairobi Jafferys. If Kanbis and Swamibapa fail to secure all the maximum 20 points against Sikh Union and Sir Ali then the Peponi School based side will be laughing even before the second inning. But in case things don’t work out in the first inning in their favour, Stray Lions could secure the league with a win against a side that has been inconsistent this season. Stray Lions secretary Thota Srinivas says his side will be going all-out for their 13th straight triumph of the year, and is hoping for tough challenge from the hosts. “Despite being this close to the league title, we will not relent. We will go out strong as we have done in the last matches. We will not take chances. We want to go out and win the match,” Srinivas said. Unlike last year, Karan Kaul’s side has failed to make a big impact especially against the likes of Stray Lions. Swamibapa and Kanbis. From the five matches they have played so far against the three sides, they have failed to secure a win-losing all the matches heavily. It will need a special performance from the home team to stop their visitors. Both teams will be without some of their top players as they are with the national team in United Arab Emirates for the ICC World Cricket League Championships against Scotland. Nairobi Gymkhana will be without Rushabh Patel, Peter Koech and Lucas Oluoch. On their side Stray Lions will be without Shem Obado, Collins Obuya and Nehemiah Odhiambo. Kaul who was snubbed by Cricket Kenya selectors for the UAE tour said he expects a tough match from the visitors but he will be looking for a better performance from his side. “Despite needing only five points to secure the league, Stray Lions will be coming for nothing than a win. I don’t think if they will sit back and take it easy. And with this we will also need to put on a strong challenge and get closer if not winning,” Kaul said. In the absence of Obado, SOYA nominee Abishek Chidambaran will partner once again with Varaiya in spin. 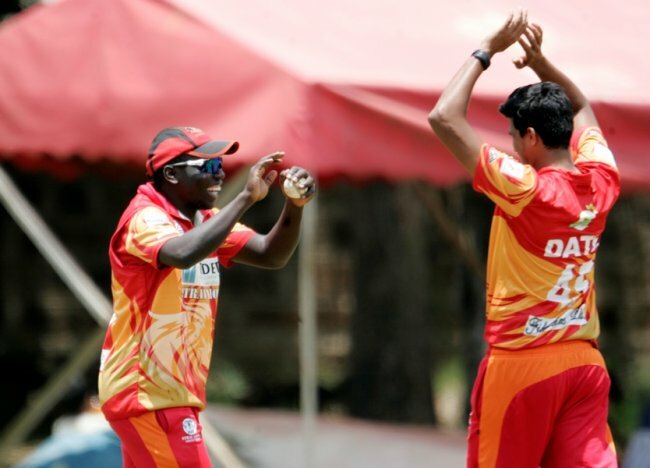 Despite having Nikhil Date and Odhiambo in their seam bowling radar, it’s the spinners who have gotten Stray Lions to where they are with some good bowling. Kanbis and Swamibapa will also be without their key players in their matches, but with the players at their disposal, the two sides will get into the matches as favourites. Fixtures: Sunday December 12 Nairobi Gymkhana v Stray Lions (Nairobi Gymkhana),Kanbis v Sikh Union (Eastleigh High School),Swamibapa v Sir Ali (Nairobi Jaffreys).